With Kubota out of stock of this popular model until May, we are delighted that we have one of these units in the showroom available for sale. 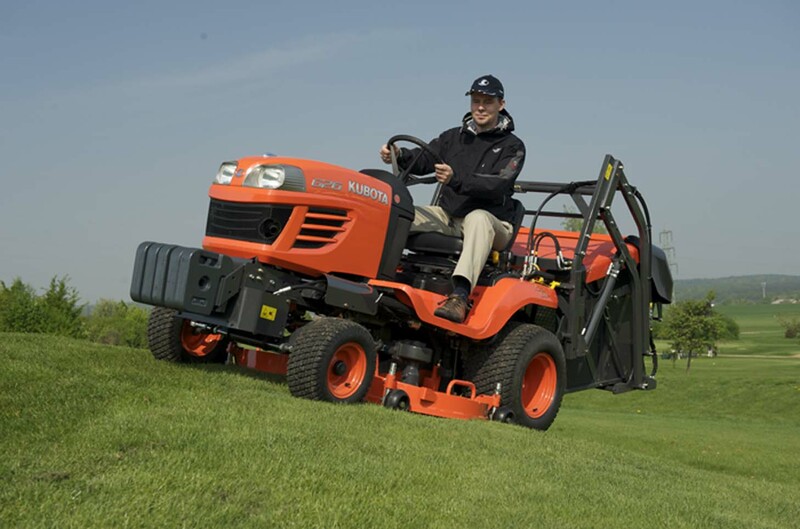 Boasting a 20.5 litre fuel tank, the Kubota G26 lawn mower, with its 25.5HP Kubota 3 cylinder ETVCS water-cooled diesel engine, offers exceptional power and efficiency for day long mowing operations. 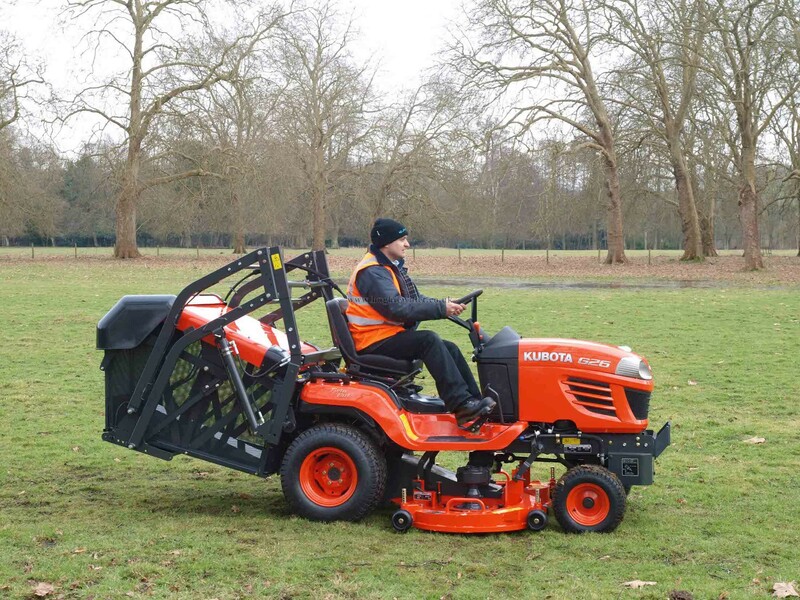 The Kubota G26 mower comes with a 54 inch cutting width and the 150mm maximum lift height gives excellent ground clearance for climbing obstacles such as curbs. Standard features include easy to use HST transmission, a top speed of 17kph, as well as full hydrostatic power steering, thus reducing operator fatigue. The G26 midmounted mower is equipped with differential lock, cruise control, a heavy duty front axle and hydraulic PTO, which allows the machine to work longer but not harder. For added operator comfort and convenience, the G26 incorporates a high back suspension seat, ergonomic controls and user friendly instrument panel. Fitted with Hi Dump Tip Grass Collector ( will tip into a skip, into a trailer, etc).